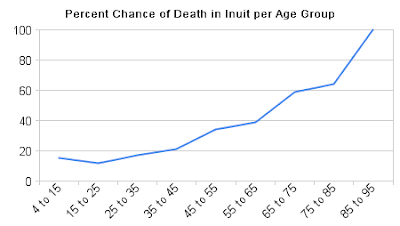 One of the classic counter-arguments that's used to discredit accounts of healthy hunter-gatherers is the fallacy that they were short-lived, and thus did not have time to develop diseases of old age like cancer. 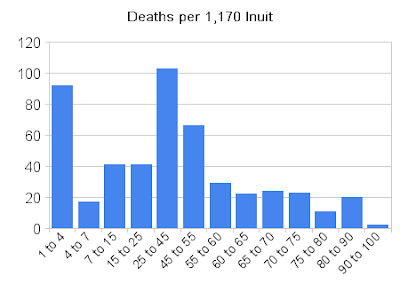 While the life expectancy of hunter-gatherers was not as high as ours today, most groups had a significant number of elderly individuals, who sometimes lived to 80 years and beyond. Mortality came mostly from accidents, warfare and infectious disease rather than chronic disease. 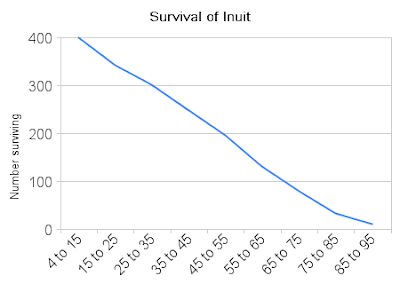 In the next post, I'll briefly summarize cancer data from several traditionally-living cultures other than the Inuit. Thanks for pulling the numbers out. A few made it to 100 years of age I see. While I don't doubt the toxicity of rancid vegetable oil, the total dose of omega three PUFA in this population is moderately high. 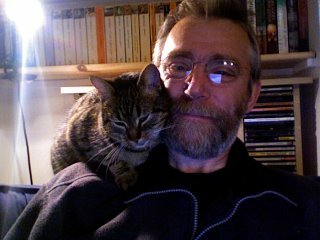 Stefansson does describe the delicacy of rotted fish in seal oil. The Eskimo equivalent of Stilton. This makes me cautious about the frank toxicity of all PUFA, especially as the Inuit on their native diet did seem to be fairly free of chronic degenerative diseases. I totally agree. I have a hard time believing that omega-3s from fish are harmful because of this. I think the problem with vegetable oil is something more specific (like the n-6), not the fact that it's polyunsaturated. 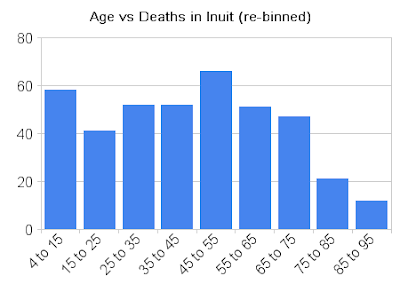 Although I will say that the Inuit have a tendency to bleed a lot (nosebleeds lasting for several days for example), which they say results from the "blood thinning" omega-3s. It's interesting to see that they have a maximum lifespan similar to ours today, even if the mean is lower. Thanks for the data Stephan – it always irks me that the mean lifespan is quoted as with no regard for child mortality and infectious diseases. Perhaps one of the confounders in the PUFA issue is that the polyunsaturation index of nut oils and fish increases the further away you get from the equator. Perhaps people in colder climates can tolerate higher PUFA than those in warmer regions – possibly different D6D mechanisms? I agree, not taking infant mortality into account really makes the data misleading. I've often thought about the fact that saturation decreases further from the equator. When you get close to the equator, you either have to get saturated or get antioxidants (coconut vs red palm oil)! I'm not sure that applies to mammal fat though, since we're warm-blooded. Fish fat is polyunsaturated everywhere, and even tropical populations near the equator who ate lots of fish/fish eggs seemed to do just fine. I think the most parsimonious explanation is that polyunsaturated fat in the form of fish oil is fine. Oh yes, American Indians in the Pacific Northwestern US used fish oil liberally as a cooking fat (rendered candlefish and salmon oil). No household was complete in some tribes without a big jug of fish oil. I don't have any hard data to support the claim that they were healthy, but the anecdotal evidence does support it. Thanks for sharing those numbers. I've always countered the typical longevity argument with the view that quality of life is preferable to quantity. But if you can have both, even better. Apparently things like whale and seal blubber differ widely in terms of fatty acid composition according to geographical location, but separating what they eat from temperature zone would be all but impossible without a prospective trial. Fish fat is mostly polyunsaturated but omega-3 seems to predominate in cold-water fish. The fish oil for cooking throws up a conundrum - surely it would quickly oxidise and according to Ray Peat's work contribute to degenerative disease. One thing not factored into PUFA studies is the use of synthetic BHA vs natural vitamin E - surely a large confounding factor? I find it interesting though that Pacific Island peoples eating raw fish in coconut cream did okay for millennia, but are scared away from this (I have to say rather yummy) traditional dish by the anti-satfat cabal. Since eating a very similar diet to SAD their rates of type 2 diabetes have soared (and they have a much higher rate of complications) - it's very tragic. Food is such a major part of PI culture and the dietary advice doled out by the RDs is both physiologically and psychologically damaging. I think this information is interesting. I just wonder why we spend so much time on things like this when we have other greater issues of importance to consider. Aside from the basic nutrition we know that people can thrive into their centenarian years on plants alone, which, at world population 7 Billion, is a salient concern from an energy efficiency and scientific basic fact that eating lower on the food chain is more efficient and sustainable in every way. Eating animals also completely ignores any of our social evolution in a civilized society towards extending rights to animals not to be exploited for human purposes, or the significantly negative implications to a society that supports such exploitation on fundamental levels. I'm sure you can connect the dots towards livestock production's connection to war, taxes, tanking the healthcare and insurance company burden (chronic and infectious diseases), crime, desensitization, basic human rights violations on both small and larger scales etc. This is a lot to ignore so people can simply debate how long they can potentially live on an animal based diet. It is a waste of time and is irresponsible on so many levels I'm continually confounded by this bizarre behavior. What is interesting is that all you meat eaters always defer to the Inuit for your excuse to eat meat. It does not do a body good end of story. 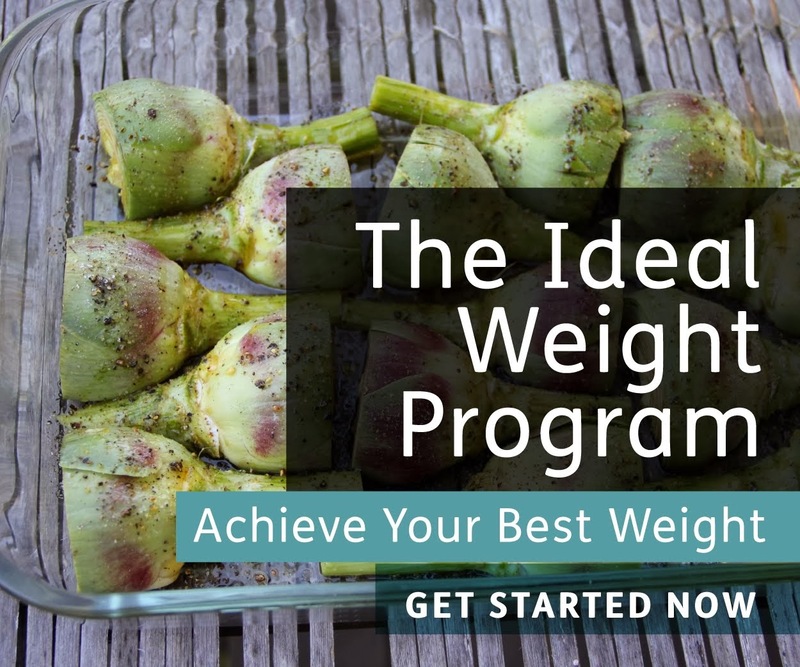 I have a friend who was eating grass fed organic beef and bone stew and ballooned up in weight on that Paleo/Atkins crap and couldn't stop the weight gain, until I told her to start juicing and eating more fruit and vegetables. She fought with me tooth and nails before eventually trying it...and boom immediately she lost 20 lbs in 3 weeks and her body just came to its most natural state. She looks beautiful again and not like the Paleo walrus that she turned into. Good luck...I know the meat industry programming is deep and hard to break. Is there data to support some of the commenters implied claims that there was no war crime or "human rights violations" in hunter gatherer societies. Also the claims that " her body just came to its most natural state" are interesting do you have data that supports that it is natural for humans not to eat meat? I think the term natural not being used properly here. 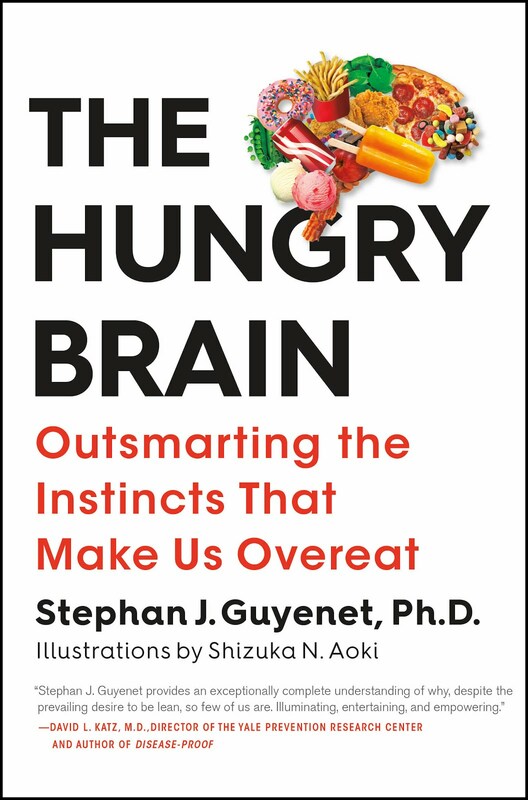 I think as omnivores that have specific genetically encoded enzymes and morphological structures devoted to the breaking down of meat, the natural state of humans is an omnivorous diet. So far the data presented here has just been correlation, but a more pressing issue is that it is quite old. I am skeptical about these studies done even today and these are quite old. I am a molecular biologist and have a very skeptical outlook on these things. I think if you dive into the molecular networks and realities of the cell biology then yes you will get cancer if you live long enough but that rate is not the same for everyone because as we know biology is extremely complex. PS. I went to UW as an undergrad and am at WSU for Ph.D now. Who's lab are you in there? "What is interesting is that all you meat eaters always defer to the Inuit for your excuse to eat meat. It does not do a body good end of story. I have a friend who was eating grass fed organic beef and bone stew and ballooned up in weight on that Paleo/Atkins crap and couldn't stop the weight gain, until I told her to start juicing and eating more fruit and vegetables. She fought with me tooth and nails before eventually trying it...and boom immediately she lost 20 lbs in 3 weeks and her body just came to its most natural state. She looks beautiful again and not like the Paleo walrus that she turned into. Good luck...I know the meat industry programming is deep and hard to break." It's not nice to lie Larry. Your story is absurd and has no scientific support. For shame. @Ben : Interesting stance, but a couple of things you might consider. The definition of omnivore is "an animal or person that eats from a variety of plant and animal sources" yes? On this definition anything that can be forced to eat meat is an omnivore. Even parrots whose only real source of food in the wild being fruits could be omnivores. In fact, on this definition MOST animals we consider herbivores are actually omnivores when you take into account the vast amounts of insect life they ingest while eating plants. The flaws in this definition speak for itself, for it is obvious that even if an animal CAN eat meat infrequently and not die as a result - as most herbivores can - they should not be called omnivores. So if in light of this flaw in the definition we define it as "a person or animal that can adequately digest and process both animal and plant sources without negative side-effects" then we begin to face problems. There can really be no happy medium in this regard. Carnivores - the only animals that can digest high amounts of cholesterol and saturated fats without clogging their arteries - have digestive tracts that are a fraction the size of any given herbivore and secrete digestive enzymes with up to ten times the amount of hydrochloric acid than their herbivore (or human) counterparts in order to break down animal proteins. So given this distinction, and if we wish to go with the more suitable definition of omnivore as an animal that can digest both animal and plant material without any negative side-effects, it is immediately obvious that animals such as our own cousins the great apes are herbivores that occasionally eat meat. Just as it is getting clearer every day that HUMANS fit into this definition as herbivores that can only infrequently eat animal products without fear of causing self-harm. The "genetically coded enzymes and morphological structures devoted to the breaking down of meat" are severely lacking when compared with animals that CAN eat meant without causing themselves harm. And as a biologist, and given the time-consuming nature of evolution, isn't it a little hard to assert that we could have evolved such a hugely different digestive system to that of our ape and monkey ancestors that lived on an almost purely fruit/vegetable diet in the time that we have had? I myself am not a biologist let alone an evolutionary biologist, so I am legitimately posing that question to you. You make some very good points Mitchell. Very interesting. I'm not a scientist but I have to wonder if before the introduction of disease by Rissian and recent changes in their diet if the cold weather producing a lower metabolism had something to do with longivity.